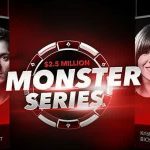 Players in France, Spain and Portugal received a surprise today when the schedule for a €10 million Carnaval tournament series appeared in the PokerStars client. If you play on PokerStars´ ring-fenced European platform, and you had any plans for the next few weeks, it might be a good idea to put your plans on hold. This is because the site is hosting a Carnaval tournament series between Sunday 3rd February and Monday 18th February consisting of 166 events with prize pools guaranteed for a total of €10 million. You haven´t heard about it? Didn´t think so. Unusually for PokerStars, the tournament schedule quietly appeared in the poker client this afternoon without any press releases or fanfares. 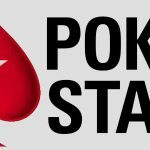 The national PokerStars websites (.fr, .es, and .pt) eventually published details of the series, but probably after a lot of players had contacted customer support to find out more about the €1 million tournament that had mysteriously appeared in the poker client. What´s in PokerStars´ Carnaval Schedule? PokerStars´ Carnaval schedule is almost exclusively dedicated to NL Hold´em events (one PL Omaha tournament is scheduled for 13th February). 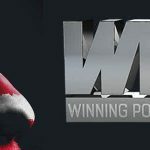 The tournaments have buy-ins ranging from €5 to €250 (the maximum allowed in the ring-fenced market), and a minimum of ten tournaments are scheduled for each day. The tournaments start on the hour between 4:00pm and 1:00am (all times CET). Among the range of NL Hold´em tournaments there is a good mix of formats. 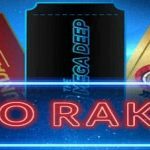 Alongside the “regular” deep-stacked tournaments, players will have the choice of Zoom tournaments, the popular Progressive Knockout tournaments, a few novelty events (Win the Button, Bubble Rush, and Ultra KO), and five Heads-Up Hyper-Turbo tournaments with €15,000 guarantees and €30 buy-ins. Twenty of the tournaments have guaranteed prize pools of €100,000 or more, with the highlight being the €1 million guaranteed two-day Main Event starting on Sunday February 17th. What´s interesting about the Main Event is that it has five hours late registration (at which point latecomers will still have 25 Big Blinds), but it breaks after seven hours before resuming the next day. Better book Monday off! In addition to surprising players with a €10 million tournament series, PokerStars has also put together an impressive selection of promotions to support the Carnaval series. The first of these also quietly appeared in the poker client this afternoon – a special €12.50 buy-in Spin & Go game in which the four prizes are €25 cash, €50 cash, €75 cash, or a €250 entry ticket for the Carnaval Main Event. The second promotion consists of a depositor´s freeroll tournament. Players making a deposit before the start of the freeroll tournament at 9:00pm on February 16th will be eligible for a free entry if they use the PokerStars bonus code “CARNAVAL”. The freeroll tournament has 140 prizes of Carnaval Main Event tickets up for grabs for a total prize value of €35,000. Finally, players who finish out of the money in any Carnaval tournament will be awarded a ticket to a daily Second Chance All-In Shootout. The Shootouts take place at 6:00pm each day and each awards €3,000 in Carnaval series entry tickets. The distribution of the prizes depends on how many players enter each Shootout, but losing players can enter a Second Chance Shootout every day. Who is Eligible to Play in the Ring-Fenced Market? You don´t necessarily have to live in France, Spain or Portugal to play on PokerStars ring-fenced European platform. Players from some other countries in which online poker is not regulated are also welcome to play on the platform, and it is not unusual to find players from Ireland, Brazil, Canada, and Russia competing against the French, Spanish and Portuguese. If you are eligible to play on the platform, and you wish to take part in PokerStars´ Carnaval series, instructions on how to create an account on the Spanish .es platform . Please note however, the Spanish system is very tough on Know Your Customer procedures, and you will have to verify your account before being able to join in the action.